1 - Games to Watch in 2009 2 - Games to Watch in 2009 - PC Must-haves 3 - Games to Watch in 2009 - Console Exclusives 4 - Games to Watch in 2009 - Best of the Rest 5 - Games to Watch in 2009 - Co-op Gaming is back! 6 - Games to Watch in 2009 - Two for the Road 7 - Games to Watch in 2009 - Vapourware? So, we’re back. You may not have ever realised we ever left thanks to our hard work pre-Christmas, but finally all the bit-tech.net staff are snug in their office chairs after an exhausting Christmas break. We’re back and ready for more; more games, more tech and more ‘splosions than ever. 2008 was a mixed year for gamers and while 2007 was undoubtedly one of the best years in gaming that anyone can remember, 2008 didn’t quite manage to top it. There were some gaming highlights to be sure, but for every Braid or Left 4 Dead there was a disappointment to counter it. Still, at least there was plenty of cheesecake. It wasn’t all bad. Our hope remains however that 2009 will prove a better, more exciting year for gaming – one not mired in DRM worries and console exclusives. Who knows, with a host of innovative titles on the horizon and an increasingly popular indie scene 2009 may manage to top even 2008. That said, we know that bit-tech.net readers are busy people who can’t possibly find the time to play all major releases this year. That’s why we’re here; to help you choose. Over the next few pages we take a look at some of the most promising titles of 2009 (and some of the most unlikely to be released) to give you a headstart in your gaming for this year. If there’s something you think we might have missed or glossed over then be sure to let us know in the forums. Almost nothing has us more excited this year than the open-world gangster sequel to Illusion Softworks’ classic game The City of Lost Heaven. Well, nothing except for the release of Ron Gilbert’s Deathspank anyway, but that’s mainly because it sounds like a cool secret move in Street Fighter: Gimp Edition. 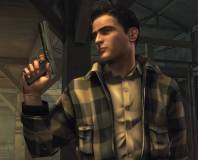 Mafia 2 starts simply enough, with players controlling a Sicilian immigrant called Vito Scaletta, who returns to the fictional Empire city (an amalgam of San Francisco and New York) after the close of World War II. Vito, who had only joined with the army in an effort avoid prison, is down on his luck and utterly penniless. Then, as you can probably guess, Vito begins his slow and inevitable struggle from lowly schmuck to widely respected Don of his own mafia outfit. Moving from local menace to made man is no easy transition though and you’ll have to painfully work your way up from petty robberies and the like, right up to elaborate bank heists. You know, like you’ve seen in the movies and stuff. 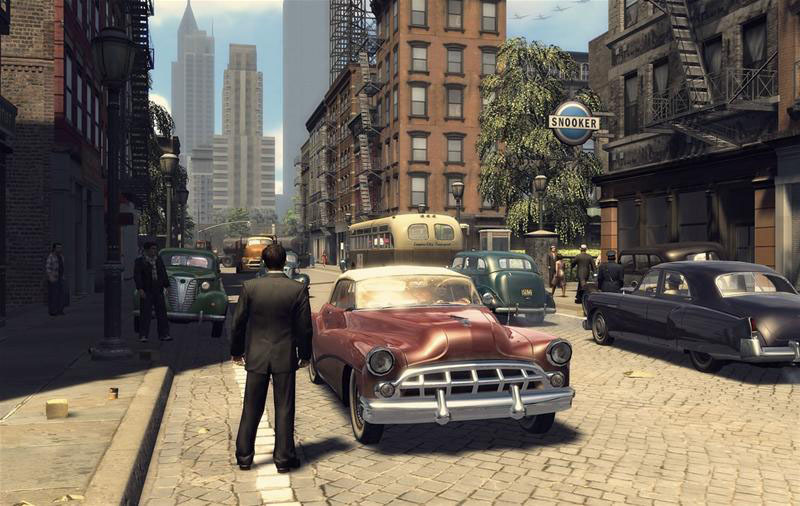 What really bowls us over about Mafia 2 though is the extremely detailed open world and total freedom which is graciously handed to players right at the very start of things. That’s something a lot of games, most notably the Grand Theft Auto series, can claim to have – but not many of them base it all in a gorgeous realised 1950s setting. With a multi-faction gang war going in throughout the huge and an arsenal of period weapons and vehicles for that war to be waged with, Mafia 2 is looking to be a game we just can’t refuse. 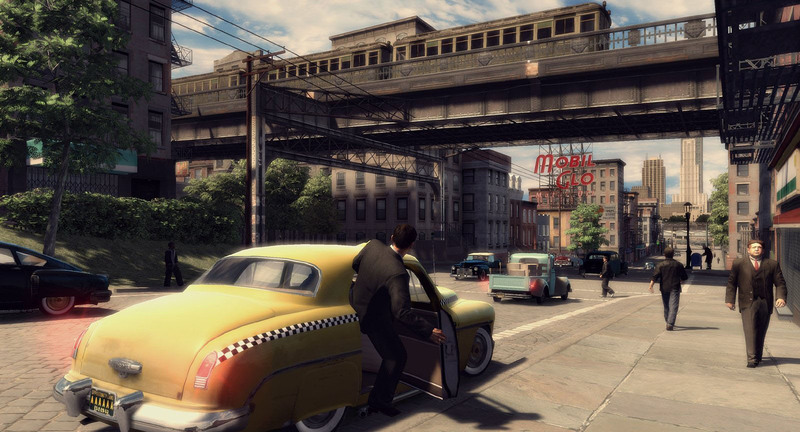 2K Games has confirmed that the Mafia 2 Collector's Edition will not be released in the UK. 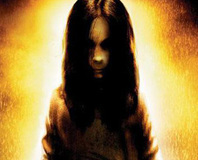 Warner Bros. has announced a sequel to Monolith's creepy shooter series, FEAR 3. 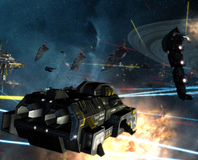 Sins of a Solar Empire will be getting a major new expansion next year.